This article is about the tennis tournament. For other uses, see Australian Open (disambiguation). "Australasian Championships" redirects here. For the track and field event, see Australasian Athletics Championships. "Australian Championships" redirects here. For the track and field event, see Australian Athletics Championships. "AO Tennis" redirects here. For the video game, see AO Tennis (video game). The Australian Open is a tennis tournament held annually over the last fortnight of January in Melbourne, Australia. The tournament is the first of the four Grand Slam tennis events held each year, preceding the French Open, Wimbledon, and the US Open. It features men's and women's singles; men's, women's, and mixed doubles; junior's championships; and wheelchair, legends, and exhibition events. Prior to 1988 it was played on grass courts, but since then two types of hardcourt surfaces have been used at Melbourne Park – green coloured Rebound Ace up to 2007 and, afterwards, blue Plexicushion. First held in 1905 as the Australasian championships, the Australian Open has grown to become the largest annual sporting event in the Southern Hemisphere. Nicknamed "the happy slam" and often referred to as the "Grand Slam of Asia/Pacific" the tournament is the highest attended Grand Slam event, with more than 780,000 people attending the 2019 edition. It was also the first Grand Slam tournament to feature indoor play during wet weather or extreme heat with its eventually three primary courts, the Rod Laver Arena, Melbourne Arena and the refurbished Margaret Court Arena equipped with retractable roofs. The Australian Open is managed by Tennis Australia, formerly the Lawn Tennis Association of Australia (LTAA), and was first played at the Warehouseman's Cricket Ground in Melbourne in November 1905. This facility is now known as the Albert Reserve Tennis Centre. The tournament was first known as the Australasian Championships. It became the Australian Championships in 1927 and the Australian Open in 1969. Since 1905, the Australian Open has been staged in five Australian and two New Zealand cities: Melbourne (55 times), Sydney (17 times), Adelaide (14 times), Brisbane (7 times), Perth (3 times), Christchurch (1906) and Hastings (1912). Though started in 1905, the tournament was not designated as being a major championship until 1924, by the International Lawn Tennis Federation (ILTF) at a 1923 meeting. The tournament committee changed the structure of the tournament to include seeding at that time. In 1972, it was decided to stage the tournament in Melbourne each year because it attracted the biggest patronage of any Australian city. The tournament was played at the Kooyong Lawn Tennis Club from 1972 until its move to the new Melbourne Park complex in 1988. The new facilities at Melbourne Park (formerly Flinders Park) were envisaged to meet the demands of a tournament that had outgrown Kooyong's capacity. The move to Melbourne Park was an immediate success, with a 90 per cent increase in attendance in 1988 (266,436) on the previous year at Kooyong (140,000). Because of Australia's geographic remoteness, very few foreign players entered this tournament in the early 20th century. In the 1920s, the trip by ship from Europe to Australia took about 45 days. The first tennis players who came by boats were the US Davis Cup players in November 1946. Even inside the country, many players could not travel easily. When the tournament was held in Perth, no one from Victoria or New South Wales crossed by train, a distance of about 3,000 kilometres (1,900 mi) between the east and west coasts. In Christchurch in 1906, of a small field of 10 players, only two Australians attended and the tournament was won by a New Zealander. The first tournaments of the Australasian Championships suffered from the competition of the other Australasian tournaments. 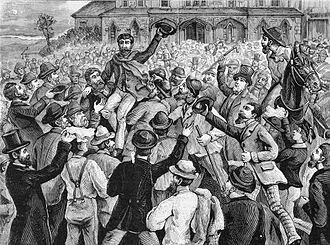 Before 1905, all Australian states and New Zealand had their own championships, the first organised in 1880 in Melbourne and called the Championship of the Colony of Victoria (later the Championship of Victoria). In those years, the best two players – Australian Norman Brookes (whose name is now written on the men's singles cup) and New Zealander Anthony Wilding – almost did not play this tournament. Brookes took part once and won in 1911, and Wilding entered and won the competition twice (1906 and 1909). Their meetings in the Victorian Championships (or at Wimbledon) helped to determine the best Australasian players. 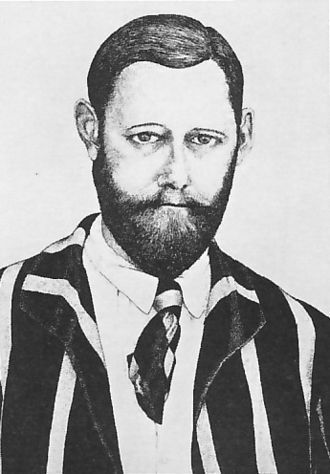 Even when the Australasian Championships were held in Hastings, New Zealand, in 1912, Wilding, though three times Wimbledon champion, did not come back to his home country. It was a recurring problem for all players of the era. Brookes went to Europe only three times, where he reached the Wimbledon Challenge Round once and then won Wimbledon twice. Thus, many players had never played the Austral(as)ian amateur or open championships: the Doherty brothers, William Larned, Maurice McLoughlin, Beals Wright, Bill Johnston, Bill Tilden, René Lacoste, Henri Cochet, Bobby Riggs, Jack Kramer, Ted Schroeder, Pancho Gonzales, Budge Patty, and others, while Brookes, Ellsworth Vines, Jaroslav Drobný, came just once. Even in the 1960s and 1970s, when travel was less difficult, leading players such as Manuel Santana, Jan Kodeš, Manuel Orantes, Ilie Năstase (who only came once, when 35 years old) and Björn Borg came rarely or not at all. Beginning in 1969, when the first Australian Open was held on the Milton Courts at Brisbane, the tournament was open to all players, including professionals who were not allowed to play the traditional circuit. Nevertheless, except for the 1969 and 1971 tournaments, many of the best players missed this championship until 1982, because of the remoteness, the inconvenient dates (around Christmas and New Year's Day) and the low prize money. In 1970, George MacCall's National Tennis League, which employed Rod Laver, Ken Rosewall, Andrés Gimeno, Pancho Gonzales, Roy Emerson and Fred Stolle, prevented its players from entering the tournament because the guarantees were insufficient. The tournament was won by Arthur Ashe. In 1983, Ivan Lendl, John McEnroe and Mats Wilander entered the tournament. Wilander won the singles title and both his Davis Cup singles rubbers in the Swedish loss to Australia at Kooyong shortly after. Following the 1983 Australian Open, the International Tennis Federation prompted the Lawn Tennis Association of Australia to change the site of the tournament, because the Kooyong stadium was then inappropriate to serve such a big event. In 1988 the tournament was first held at Flinders Park (later renamed Melbourne Park). The change of the venue also led to a change of the court surface from grass to a hard court surface known as Rebound Ace. Mats Wilander was the only player to win the tournament on both grass and hard courts. In 2008, after being used for 20 years, the Rebound Ace was replaced by a cushioned, medium-paced, acrylic surface known as Plexicushion Prestige. Roger Federer and Serena Williams are the only players to win the Australian Open on both Rebound Ace and Plexicushion Prestige. The main benefits of the new surface are better consistency and less retention of heat because of a thinner top layer. This change was accompanied by changes in the surfaces of all lead-up tournaments to the Australian Open. The change was controversial because of the new surface's similarity to DecoTurf, the surface used by the US Open. Before the Melbourne Park stadium era, tournament dates fluctuated as well, in particular in the early years because of the climate of each site or exceptional events. For example, the 1919 tournament was held in January 1920 (the 1920 tournament was played in March) and the 1923 tournament in Brisbane took place in August when the weather was not too hot and wet. After a first 1977 tournament was held in December 1976 – January 1977, the organisers chose to move the next tournament forward a few days, then a second 1977 tournament was played (ended on 31 December), but this failed to attract the best players. From 1982 to 1985, the tournament was played in mid-December. Then it was decided to move the next tournament to mid-January (January 1987), which meant there was no tournament in 1986. Since 1987, the Australian Open date has not changed. However, some top players, including Roger Federer and Rafael Nadal, have said that the tournament is held too soon after the Christmas and New Year holidays, thus preventing players from reaching their best form, and expressed a desire to shift it to February. Such a change, however, would move the tournament outside the summer school holiday period, potentially impacting attendance figures. In 2008 New South Wales authorities made clear their desire to bid for hosting rights to the tournament once Melbourne's contract expired in 2016. The proposal met a scathing response from Wayne Kayler-Thomson, the head of the Victorian Events Industry Council, who labelled it "disappointing that NSW cannot be original and seek their own events instead of trying to cannibalise other Australian cities." The prospect of moving the tournament is unlikely as over the following years the precinct was upgraded with enhanced facilities for players and spectators. 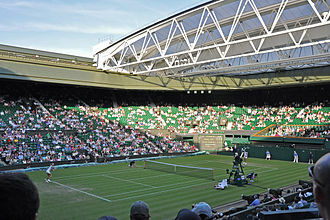 Notably a retractable roof was placed over Margaret Court Arena, making the Open the first of the four Grand Slams to have retractable roofs available on three of their show courts. The player and administrative facilities, as well as access points for spectators, were improved and the tournament site expanded its footprint out of Melbourne Park into nearby Birrarung Marr. A fourth major show court, seating 5,000 people is expected to be completed in the coming years. In December 2018, tournament organisers announced the Australian Open would follow the examples set by Wimbledon and the US Open and introduce tie-breaks in the final sets of men's and women's singles matches. Unlike Wimbledon and the US Open, which initiate conventional tie-breaks at 12-12 games and 6-6 games respectively, the Australian Open utilises a first to 10 points breaker at 6 games all. From 1973 to 2018, the Seven Network served as the host broadcaster of the Australian Open. In March 2018, it was announced that the Nine Network had acquired the rights to the tournament beginning in 2020, for a period of five years. The network later bought the rights for the 2019 tournament as well. The Open's broadcast rights are lucrative in the country, as it occurs near the end of the Summer non-ratings season — which gives its broadcaster opportunities to promote their upcoming programming lineup. In Europe the tournament is broadcast on Eurosport. Other broadcasters in the region have included the BBC in the United Kingdom, SRG in Switzerland, NOS in Netherlands and RTS in Serbia. In the United Kingdom, the BBC dropped its live coverage of the 2016 tournament just a month before the start due to budget cuts, leaving Eurosport as the exclusive live broadcaster. Elsewhere, beIN Sports broadcasts it into the Middle East and Northern Africa, and SuperSport in Sub-Sahara Africa. In the United States, the tournament is broadcast on ESPN2, ESPN3 and the Tennis Channel. The championship matches are televised live on ESPN. While it is broadcast on ESPN International in Central and Latin America. It is broadcast on TSN in Canada. In Asia-Pacific region, the tournament is broadcast on five television networks in China, including national broadcaster CCTV, provincial networks Beijing TV, Shanghai TV and Guangdong TV and English language Star Sports, as well as online on IQIYI Sports. Elsewhere in the region, it is broadcast in Japan by national broadcaster NHK, and pay-TV network WOWOW. In the Indian Sub-continent, Sony Six has broadcast since 2015 and, in the rest of Asia, it is broadcast on Fox Sports Asia through 2021. The following record of attendance begins in 1987, when the tournament moved from being held in December to in January (the immediate preceding tournament was December 1985). 1987 was the last year that the Kooyong Tennis Club hosted the tournament; since 1988 it has been held at Melbourne Park. The average growth rate over the period covered below is 7%. On 4 October 2011, when they launched Australian Open 2012, the tournament director announced that the prize money was increased to A$26,000,000. It is the highest prize money for a tennis tournament. It was announced the prize money will be increased to AUD $40 million from 2015 onwards. The names of the tournament winners are inscribed on the perpetual trophy cups. The women's singles winner is presented with the Daphne Akhurst Memorial Cup. The men's singles winner is presented with the Norman Brookes Challenge Cup. Novak Djokovic was the winner of the Men's Singles in 2019. It was his 15th Major Singles title and his seventh at the Australian Open. Naomi Osaka was the winner of the Women's Singles in 2019. It was her 1st Grand Slam singles title. Nicolas Mahut was part of the winning Men's Doubles in 2019. It was his 4th Grand Slam men's doubles title and his first at the Australian Open. Pierre-Hugues Herbert was part of the winning Men's Doubles team in 2019. It was his 4th Grand Slam men's doubles title and his first at the Australian Open. Samantha Stosur was part of the winning Women's Doubles team in 2019. It was her 3rd Grand Slam women's doubles title and her first at the Australian Open. Zhang Shuai was part of the winning Women's Doubles team in 2019. It was her 1st Grand Slam women's doubles title. Barbora Krejčíková was part of the winning Mixed Doubles team in 2019. It was her 1st Grand Slam mixed doubles title and her 3rd Grand Slam doubles title. Rajeev Ram was part of the winning Mixed Doubles team in 2019. It was his 1st Grand Slam mixed doubles title. The Australian Open is played at Melbourne Park, which is located in the Melbourne Sports and Entertainment Precinct; the event moved to this site in 1988. Currently three of the courts have retractable roofs, allowing play to continue during rain and extreme heat. As of 2017, spectators can also observe play at Show Courts 2 and 3, which have capacities of 3,000 each, as well as at Courts 7–15, 19 and 20 from small accessible viewing positions. Construction of a new 5,000 seat capacity stadium will start in 2019 as part of a $271 million redevelopment of the precinct. Since 2008, all of the courts used during the Australian Open are hard courts with Plexicushion acrylic surfaces (though Melbourne Park does have 8 clay courts not used for the tournament). This replaced the Rebound Ace surface used from the opening of Melbourne Park. The ITF rates the surface's speed as medium. 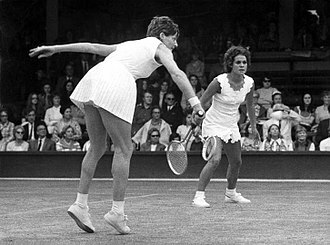 Unlike the other three Grand Slam tournaments, which became open in 1968, the Australian tournament opened to professionals in 1969. Thus, the records here break at the 1969 tournament. Citations for these records. ^ Rebound Ace was used from 1988–2007 and since 2008 Plexicushion is used. ^ Except for Rod Laver Arena, Margaret Court Arena and Melbourne Arena during rain delay. ^ Last Australian Men's Singles champion: Mark Edmondson (1976). ^ Last Australian Women's Singles champion: Chris O'Neil (1978). ^ Paxinos, Stathi (20 November 2007). "Australian Open court surface is speeding up". The Age. Melbourne. ^ Williams, Jacqueline (26 January 2018). "By Looking to Asia, the Australian Open Found Itself". The New York Times. ISSN 0362-4331. Retrieved 15 January 2019. ^ Schaller, Maria (14 January 2018). "Asian talents hopeful for "Home Grand Slam"". SBS News. Retrieved 28 January 2019. ^ Wortheim, Jon (26 January 2019). "50 Parting Thoughts From the 2019 Australian Open". Sports Illustrated. Retrieved 28 January 2019. ^ a b "Australian Tennis Open History". Jazzsports. Archived from the original on 30 January 2008. Retrieved 22 January 2008. ^ a b Tristan Foenander. "History of the Australian Open – the Grand Slam of Asia/Pacific". Australian Open. Archived from the original on 20 January 2008. Retrieved 22 January 2008. 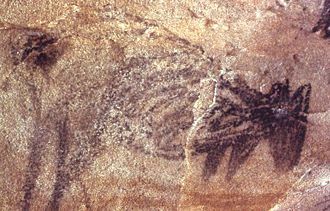 ^ Unknown (9 November 1923). "Australasian Championships". The Sydney Morning Herald. Retrieved 19 July 2010. ^ a b Frank Cook (14 February 2008). "Open began as Aussie closed shop". The Daily Telegraph. news.com.au. Archived from the original on 1 February 2008. Retrieved 22 January 2008. ^ "Anthony Frederick Wilding "Tony"". International Tennis Hall of Fame. Archived from the original on 30 September 2007. Retrieved 1 February 2008. ^ "History of Tennis – From humble beginnings". Tennis Australia. Archived from the original on 31 January 2008. Retrieved 25 January 2008. ^ "Milton Tennis Centre". Australian Stadiums. Archived from the original on 17 January 2008. Retrieved 25 January 2008. ^ Nikki Tugwell (14 January 2008). "Hewitt chases amazing slam win". The Daily Telegraph. news.com.au. Archived from the original on 1 February 2008. Retrieved 25 January 2008. ^ Alan Trengove. "Australian Open 1983". wilandertribute.com. Retrieved 19 February 2008. ^ "World Group 1983 Final". Davis Cup. Archived from the original on 30 June 2013. Retrieved 19 February 2008. ^ "Rebound Ace under review". The Daily Telegraph. news.com.au. 29 January 2007. Retrieved 19 February 2008. ^ a b Christopher Clarey (13 January 2008). "On the surface, Australian Open gets a new bounce". The New York Times. ^ "List of Classified Court Surfaces". itftennis.com. ^ "Tennis court surfacer serves up two major deals". Boston Business Journal. 28 January 2008. ^ Schlink, Leo (17 January 2009). "Rafael Nadal keen to call time on early slam". Herald Sun. Australia. Retrieved 18 September 2009. ^ "Sydney plans Australian Open bid". news.bbc.co.uk. BBC. 11 October 2008. ^ Cameron Houston; Jason Dowling (11 October 2008). "NSW in negotiations to transfer Open from Melbourne". www.smh.com.au. Sydney Morning Herald. ^ "Australian Open could be played entirely indoors, as Margaret Court Arena gets retractable roof". ABC News. 4 January 2015. ^ "The big changes coming to Rod Laver Arena this Australian Open". The New Daily. 12 January 2019. ^ "Melbourne Park Masterplan". Melbourne and Olympic Parks Trust. ^ "Australian Open Will Begin Using Final-Set Tiebreaker". The New York Times. 21 December 2018. ^ "Nine secures rights to the 2019 Australian Open tennis from Seven". The Sydney Morning Herald. 24 June 2018. ^ "Nine secures Australian Open from 2020". TV Tonight. 29 March 2018. Retrieved 29 March 2018. ^ "How do Australian TV networks get away with non-ratings period?". News.com.au. Retrieved 29 March 2018. ^ Gill, Kieran (11 December 2015). "BBC to axe live coverage of Australian Open as part of £35m cut to sports budget... with Eurosport claiming exclusive rights". Daily Mail. Retrieved 9 January 2016. ^ "2013 Australian Open TV Schedule on ESPN". sportsmediawatch.com. ^ "Fox Sports Asia lands Australian Open rights until 2021". Retrieved 11 September 2018. ^ a b "Australian Open smashes attendance records". The Age. 28 January 2019. Exact figure has not yet been provided. ^ "Australian Open Glance". 30 January 2017. ^ "Australian Open 2016 – By the numbers". Australian Open. 1 February 2016. Archived from the original on 14 January 2017. ^ "Australian Open 2015 – The final word from Tennis Australia". 1 February 2015. Retrieved 2 February 2015. ^ "AO 2014 – The Final Word". 27 January 2014. Retrieved 7 February 2014. ^ "Australian Open 2013 – The Final Word". 28 January 2013. Retrieved 7 February 2014. ^ "Top 10: Memorable AO2012 moments". 29 January 2012. Archived from the original on 1 February 2012. Retrieved 4 March 2012. ^ "Closing notes: Australian Open 2011". 30 January 2011. Archived from the original on 2 February 2011. Retrieved 27 January 2012. ^ "Federer wins fourth Australian Open, 16th major singles title". 31 January 2010. Archived from the original on 5 February 2010. Retrieved 7 March 2010. ^ "Australian Open 2009 – the final word". australianopen.com. Archived from the original on 4 February 2009. ^ "The Australian Open – History of Attendance" (PDF). Australian Open. Archived from the original (PDF) on 5 September 2007. Retrieved 30 January 2008. ^ "AO 2007: The Final Word". Tennis Australia. Archived from the original on 18 January 2008. Retrieved 25 January 2008. ^ "Safin credits Lundgren for resurgence". Sports Illustrated. CNN. 30 January 2005. Archived from the original on 18 January 2008. Retrieved 25 January 2008. ^ "Tennis Australia Annual Report, 2002–2003" (PDF). Clearinghouse for Sport. Tennis Australia. Archived from the original (PDF) on 4 April 2016. Retrieved 20 January 2017. ^ "Tennis Australia Annual Report, 2001–2002" (PDF). Clearinghouse for Sport. Tennis Australia. Archived from the original (PDF) on 26 March 2017. Retrieved 20 January 2017. ^ "Tennis Australia Annual Report, 2000–2001" (PDF). Clearinghouse for Sports. Tennis Australia. Archived from the original (PDF) on 1 April 2016. Retrieved 20 January 2017. ^ "Tennis Australia Annual Report, 1999–2000" (PDF). Clearinghouse for Sport. Tennis Australia. Archived from the original (PDF) on 1 April 2016. Retrieved 20 January 2017. ^ a b "Tennis Australia Annual Report, 1998–1999" (PDF). Clearinghouse for Sports. Tennis Australia. Archived from the original (PDF) on 1 April 2016. Retrieved 20 January 2017. ^ "Tennis Australia Annual Report, 1997" (PDF). Clearinghouse for Sports. Tennis Australia. Archived from the original (PDF) on 1 April 2016. Retrieved 20 January 2017. ^ "Tennis Australia 1996 Annual Report" (PDF). Clearinghouse for Sports. Tennis Australia. Archived from the original (PDF) on 1 April 2016. Retrieved 20 January 2017. ^ "Tennis Australia 1995 Annual Report" (PDF). Clearinghouse for Sports. Tennis Australia. Archived from the original (PDF) on 1 April 2016. Retrieved 20 January 2017. ^ "Tennis Australia 1994 Annual Report" (PDF). Clearinghouse for Sports. Tennis Australia. Archived from the original (PDF) on 1 April 2016. Retrieved 20 January 2017. ^ "Tennis Australia 1993 Annual Report" (PDF). Clearinghouse for Sports. Tennis Australia. Archived from the original (PDF) on 1 April 2016. Retrieved 20 January 2017. ^ "Tennis Australia 1992 Annual Report" (PDF). Clearinghouse for Sports. Tennis Australia. Archived from the original (PDF) on 1 April 2016. Retrieved 20 January 2017. ^ "Tennis Australia 1991 Annual Report" (PDF). Clearinghouse for Sports. Tennis Australia. Archived from the original (PDF) on 1 April 2016. Retrieved 20 January 2017. ^ "Tennis Australia Annual Report 1990" (PDF). Clearinghouse for Sports. Tennis Australia. Archived from the original (PDF) on 26 March 2017. Retrieved 20 January 2017. ^ "Lawn Tennis Association of Australia Annual Report 1989" (PDF). Clearinghouse for Sports. Lawn Tennis Association. Archived from the original (PDF) on 1 April 2016. Retrieved 20 January 2017. ^ "Lawn Tennis Association of Australia Annual Report 1988" (PDF). Clearinghouse for Sports. Lawn Tennis Association of Australia. Archived from the original (PDF) on 1 April 2016. Retrieved 20 January 2017. ^ "Lawn Tennis Association of Australia Annual Report 1987" (PDF). Clearinghouse for Sports. Lawn Tennis Association of Australia. Archived from the original (PDF) on 1 April 2016. Retrieved 20 January 2017. ^ "Australian Open". Wide World of Sports. Retrieved 9 January 2019. ^ "prize money for Australian Open 2019". AusOpen. Retrieved 9 January 2019. ^ "Event Guide – Australian Open Tennis Championships 2014 – Official Site by IBM". Retrieved 25 December 2014. ^ "Accessibility Map" (PDF). Tennis.com. Retrieved 16 January 2017. ^ "Melbourne gets new 5000-seat tennis arena". SBS News. 23 April 2017. ^ "About Court Pace Classification". ITF. Retrieved 16 January 2017. ^ "Rod Laver Arena". Australian Stadiums. Retrieved 16 January 2017. ^ "Hisense Arena". Australian Stadiums. Retrieved 16 January 2017. ^ "Margaret Court Arena". Australian Stadiums. Retrieved 16 January 2017. ^ "Australian History and Records". TennisTours.com. Archived from the original on 21 December 2008. Retrieved 17 January 2009. Brisbane is the capital of and most populous city in the Australian state of Queensland, and the third most populous city in Australia. Brisbanes metropolitan area has a population of 2.35 million, the Brisbane central business district stands on the original European settlement and is situated inside a bend of the Brisbane River, about 15 kilometres from its mouth at Moreton Bay. The demonym of Brisbane is Brisbanite, one of the oldest cities in Australia, Brisbane was founded upon the ancient homelands of the indigenous Turrbal and Jagera peoples. A penal settlement was founded in 1824 at Redcliffe,28 kilometres north of the business district. 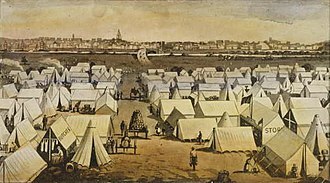 The city was marred by the Australian frontier wars between 1843 and 1855, and development was set back by the Great Fire of Brisbane. Brisbane was chosen as the capital when Queensland was proclaimed a colony from New South Wales in 1859. During World War II, Brisbane played a role in the Allied campaign. Today, Brisbane is well known for its distinct Queenslander architecture which forms much of the built heritage. It receives attention for its damaging flood events, most notably in 1974 and 2011. Several large cultural and sporting events have held at Brisbane, including the 1982 Commonwealth Games, World Expo 88, the final Goodwill Games in 2001. Prior to white settlement, the Brisbane area was inhabited by the Turrbal and they knew the area that is now the central business district as Mian-jin, meaning place shaped as a spike. 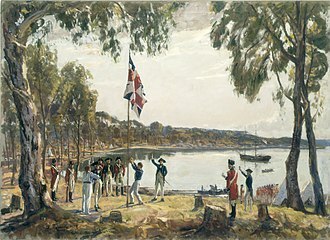 The Moreton Bay area was explored by Matthew Flinders. 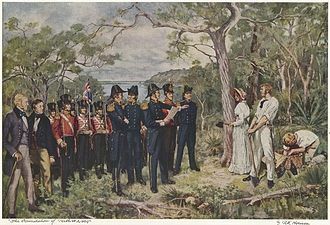 On 17 July 1799, Flinders landed at what is now known as Woody Point, in 1823 Governor of New South Wales Sir Thomas Brisbane instructed that a new northern penal settlement be developed, and an exploration party led by John Oxley further explored Moreton Bay. Oxley discovered and explored the Brisbane River as far as Goodna,20 kilometres upstream from the Brisbane central business district, Oxley recommended Red Cliff Point for the new colony, reporting that ships could land at any tide and easily get close to the shore. Henry Christian Harry Hopman CBE was a world-acclaimed Australian tennis player and coach. Hopman was born in Glebe, New South Wales, before his family moved to Parramatta, Hopman was a student at Rosehill Public Primary school, where his father was headmaster, and at Parramatta High School, where he played tennis and cricket. Harry Hopman was born on 12 August 1906 in Glebe, Sydney as the child of John Henry Hopman, schoolteacher. He started playing tennis at the age of 13 and, playing barefoot, won a singles tournament on a court in the playground of Rosehill Public School. Hopman was the successful captain-coach of 22 Australian Davis Cup teams from 1939 to 1967, enough money was raised to purchase a gasoline station in the name of Sedgmans wife-to-be and Sedgman remained an amateur for one more year. As Joe McCauley writes in The History of Professional Tennis, For some reason, the pious Hopman, Hopman was a journalist, joining the Melbourne Herald in 1933 as a sportswriter. After World War II, this became his focus until he was again coaxed into tennis coaching. As an example of Hopmans journalism, Kramer writes that Sedgman, by a touring professional. Hopman accepted the offer, and he took Sedg aside and told him that what Hoad, so he told Sedg to go easy on them, which he gladly did. After a few days, Hopman wrote an exclusive in his newspaper column revealing how his kids could whip Sedgman, the Hopman Cup is named in his honour. His widow, Lucy Hopman, travels to Perth, Western Australia in January each year for the tournament, Hopman was inducted into the International Tennis Hall of Fame in Newport, Rhode Island in 1978. Tennis great Jack Kramer, who was a promoter of the professional tour. He had no children, no hobbies, and tennis was everything to him, who admits that Hopman has never been my favorite guy, goes on to say The minute one of his stars would turn pro, Hopman would turn on him. No matter how close hed been to a player, as soon as he was out of Hopmans control and it was as if wed never existed Rosewall said once. Hopman was first married to Nell Hall, with whom he won four mixed doubles finals, the marriage took place on 19 March 1934 at St Philips Anglican Church in Sydney. Melbourne is the capital and most populous city of the Australian state of Victoria, and the second-most populous city in Australia and Oceania. The name Melbourne refers to an urban agglomeration spanning 9,900 km2, the metropolis is located on the large natural bay of Port Phillip and expands into the hinterlands towards the Dandenong and Macedon mountain ranges, Mornington Peninsula and Yarra Valley. It has a population of 4,641,636 as of 2016, and its inhabitants are called Melburnians. Founded by free settlers from the British Crown colony of Van Diemens Land on 30 August 1835, in what was the colony of New South Wales, it was incorporated as a Crown settlement in 1837. It was named Melbourne by the Governor of New South Wales, Sir Richard Bourke, in honour of the British Prime Minister of the day, William Lamb, 2nd Viscount Melbourne. It was officially declared a city by Queen Victoria, to whom Lord Melbourne was close, in 1847, during the Victorian gold rush of the 1850s, it was transformed into one of the worlds largest and wealthiest cities. After the federation of Australia in 1901, it served as the interim seat of government until 1927. It is a financial centre in the Asia-Pacific region. It is recognised as a UNESCO City of Literature and a centre for street art, music. It was the host city of the 1956 Summer Olympics and the 2006 Commonwealth Games, the main passenger airport serving the metropolis and the state is Melbourne Airport, the second busiest in Australia. The Port of Melbourne is Australias busiest seaport for containerised and general cargo, Melbourne has an extensive transport network. The main metropolitan train terminus is Flinders Street Station, and the regional train. Melbourne is home to Australias most extensive network and has the worlds largest urban tram network. Before the arrival of settlers, humans had occupied the area for an estimated 31,000 to 40,000 years. 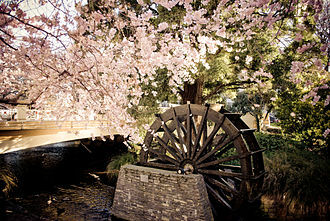 At the time of European settlement, it was inhabited by under 2000 hunter-gatherers from three indigenous tribes, the Wurundjeri and Wathaurong. 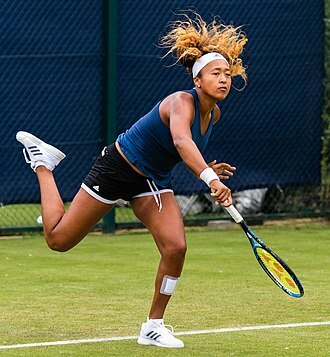 Naomi Osaka is a Japanese professional tennis player. On 17 October 2016, Osaka reached her best singles ranking of world no.40, on 11 July 2016, she peaked at world no.379 in the doubles rankings. Osaka was born in Osaka, Japan, to a Haitian father and she has an older sister, who is a professional tennis player. She was pitted against 2011 US Open champion Samantha Stosur and it was Osakas first main draw match win at the WTA level. During the 2015 WTA Finals she won the Rising Stars Invitational exhibition tournament, in her grand slam debut, Osaka reached the third round of Australian Open as a qualifier defeating Donna Vekic and 18th seeded Elina Svitolina in straight sets. She ended up losing to former champion Victoria Azarenka in straight sets, during the clay season, Osaka reached the third round of the French Open. She defeated 32nd seed Jeļena Ostapenko and Mirjana Lučić-Baroni both in straight sets and she lost to former finalist and 6th seed Simona Halep in three sets, despite capturing the first set. Novak Djokovic, often referred to by the hypocorism Nole, is a Serbian professional tennis player who is currently ranked world No.2 in mens singles tennis by the Association of Tennis Professionals. He is considered one of the greatest tennis players of all time and he is coached by former Slovak tennis player Marián Vajda. Djokovic holds the best match winning rate in Open Era, as of March 2017, Djokovic has won 12 Grand Slam singles titles, the fourth most in history, and held the No.1 spot in the ATP rankings for a total of 223 weeks. In majors, Djokovic has won six Australian Open titles, three Wimbledon titles, two US Open titles and one French Open title, Djokovic stands alone with an all-time record of 30 Masters 1000 series titles. Among other titles, he has won the ATP World Tour Finals five times and was on the Serbian team which won the 2010 Davis Cup and he won the Bronze medal in mens singles at the 2008 Summer Olympics. Djokovic is the first Serbian player to be ranked No.1 by the ATP and he is a recipient of the Order of St.
Sava, the Order of Karađorđes Star and the Order of the Republika Srpska. Djokovic was born on 22 May 1987 in Belgrade, SR Serbia, Yugoslavia, to parents Srđan, novaks father is Montenegrin in origin and his mother is Croatian by background, with Novak considering himself to be Serbian. His two younger brothers and Djordje, are tennis players with professional aspirations, a resident in Monte Carlo, Djokovic was coached by former Slovak tennis player Marián Vajda from 2006 until Boris Becker took over the role of head coach in December 2013. Djokovic is a fan of languages, speaking Serbian, French, German. He met his wife, Jelena Ristić, in high school. On 24 April 2014, Djokovic announced that he and Ristić were expecting their first child and his son Stefan was born in October 2014. Djokovic began playing tennis at the age of four, in the summer of 1993, the six-year-old was spotted by Yugoslav tennis player Jelena Genčić at Mount Kopaonik, where Djokovics parents ran a fast-food parlour. Upon seeing Djokovic play tennis, she stated, This is the greatest talent I have seen since Monica Seles, to that end, she contacted Nikola Pilić and in September 1999 the 12-year-old moved to the Pilić tennis academy in Oberschleißheim, spending four years there. Mahut at the 2015 French Open. Mahut at the 2015 Queen's Club. Mahut at the 2016 French Open. The collapsed Pyne Gould Building. Thirty of the building's two hundred workers were trapped within the building following the February earthquake. Satellite image showing Christchurch and surrounding areas. View of the Christchurch region from the International Space Station. Thelma Coyne packing for her overseas tour in 1938 as a member of the Australian Women's Tennis Team. Serena Williams serving at the 2008 Wimbledon Championships. Image of the exterior grandstand (North) showing iconic lettering and broadcast boxes.